Government regularly reviews the threat perception to secure our borders and protect national interests. Appropriate measures are taken from time to time to maintain / upgrade the country’s defence preparedness to safeguard the sovereignty, territorial integrity and security of India. This information was given by Defence Minister Shri Manohar Parrikar in a written reply to Shri Raj Kumar Dhoot in Rajya Sabha today. There is no commonly delineated Line of Actual Control (LAC) between India and China. There are areas along the border where India and China have differing perception of LAC. Transgressions occur on account of both sides undertaking patrolling upto their perception of the LAC. Government regularly takes up any violation along the LAC with the Chinese side through established mechanisms including border personnel meetings, flag meetings and Working Mechanism on Consultation and Coordination on India-China Border Affairs wherein they are guided by various agreements between India-China. Indian territory under the occupation by China in Jammu & Kashmir is approximately 38,000 sq. kms. In addition, under the so-called China-Pakistan ‘Boundary Agreement’ signed between China and Pakistan on 2nd March, 1963, Pakistan illegally ceded approximately 5,180 sq. kms. of Indian territory in Pakistan Occupied Kashmir to China. India and China have appointed Special Representatives to work out the framework for a boundary settlement. The 18th Round of Special Representative Level talk was held in New Delhi on 23-24 March, 2015. During the visit of Chinese President Xi Jinping in September 2014 to India both sides agreed that peace and tranquillity in the border region constitutes an essential foundation for mutual trust and confidence and for realizing the full potential of our relationship. This information was given by Defence Minister Shri Manohar Parrikar in a written reply to Shri Shanta Ram Naik in Rajya Sabha today. There have been no incident of infiltration by Chinese soldiers into Indian territory during last three years. There is no commonly delineated Line of Actual Control (LAC) between India and China. There are areas along the border where India and China have differing perception of LAC. Transgressions occur on account of both sides undertaking patrolling upto their perception of the LAC. Due to such difference of perceptions, transgressions have occurred in the general area of Pangong Tso Lake. Government regularly takes up any violation along the LAC with the Chinese side through established mechanisms including border personnel meetings, flag meetings and Working Mechanism on Consultation and Coordination on India-China Border Affairs wherein they are guided by various agreements between India-China. During the visit of Chinese President Xi Jinping to India, Prime Minister raised concern over incidents along the border. The two leaders agreed that peace and tranquility in the border region constitutes an essential foundation for mutual trust and confidence and for realizing the full potential of our relationship. It was suggested that clarification of Line of Actual Control would greatly contribute to the efforts to maintain peace and tranquillity. Procurement of Components from BAE Systems Inc.
No such order has been issued by Government in respect of 155 millimeter / 39 calibre M777ULH guns. This information was given by Defence Minister Shri Manohar Parrikar in a written reply to Shri Salim Ansari in Rajya Sabha today. An advance aircraft such as Rafale can be produced in India after Transfer of Technology (ToT) by the Original Aircraft Manufacturer. As per the India-France Joint Statement issued by the two countries during the Prime Minister’s visit to France, Government of India conveyed to the Government of France that in view of the critical operational necessity for Multirole Combat Aircraft for Indian Air Force (IAF), Government of India would like to acquire 36 Rafale jets in fly-away condition as quickly as possible. The two leaders agreed to conclude an Inter-Governmental Agreement for supply of the aircraft on terms that would be better than conveyed by Dassault Aviation as part of a separate process underway, the delivery would be in time-frame that would be compatible with the operational requirement of IAF; and that the aircraft and associated systems and weapons would be delivered on the same configuration as had been tested and approved by IAF, and with a longer maintenance responsibility by France. The Board of Inquiry (BoI) has concluded that the incident onboard INS Sindhurakshak in the night of 13/14 August 2013 was an accident probably induced during the process of arming of the torpedoes. Since none of the officers and sailors present inside the submarine survived, it has not been possible to attribute any blame to any individual for failure or negligence, if any. However, disciplinary action against two officers in the chain of command has been initiated for individual lapses. Lessons learnt from the reports of Board’s of Inquiry (BoI) are implemented appropriately. Corrective steps have been taken by Naval Headquarters with extensive checks on weapon related safety systems and audit of Standard Operating Procedures on all operational naval units. Safety procedures and professional checks have been re-emphasized. Incidents Study and Analysis Cells have been instituted at professional schools wherein lessons learnt are incorporated into professional training. Safety Audits of various units are being regularly conducted. Crack on sonar dome of INS Betwa on 08.01.2014. Board of Inquiry (BoI) has found error of Judgement by Crew as cause of accident. 03 officers were found culpable. Disciplinary action against the 02 officers has been completed and the disciplinary actions against one officer have been initiated at HQWNC. Suspended movement of INS Sindhurghosh while securing to alongside berth 17.01.2014. BoI has found incorrect tidal predictions as cause of accident. 01 officer was found culpable and disciplinary actions against him has been initiated at HQWNC. Sea water ingress into tiller flat through a crack/hole in Ship side of INS Vipul 23.01.2014. BoI has found the cause of accident as unethical work practices by subcontractors, poor quality control, inadequate preservations, failure of supervisory/ monitoring agencies, poor refit management and contravention of laid down orders/ SOPs. 05 officers were found culpable and disciplinary actions against them have been initiated at HQWNC. Damage to Port propeller of INS Airavat whilst entering Harbour 30.01.2014. BoI has found non adherence to laid down SOPs in pilotage waters as cause of accident. 02 officers were found culpable and disciplinary actions against them have been initiated at HQENC. Incident of fire in third compartment and death of two officers onboard INS Sindhuratna 26.02.2014. BoI has found electrical short circuit in cables as cause of accident. 07 officers were found culpable and disciplinary actions against them have been initiated at HQWNC. Accident onboard Yard 12701 (Kolkata) under construction at MDL while carrying out trials of Engine Room firefighting system 07.03.2014. BoI has found material failure as cause of accident. No individual or organization has been held responsible for the cause of incident and the incident was treated as an accident. The death of the officer was considered as attributable to Service. Incident of Smoldering and thick smoke in Armoury during Hot Work of INS Matanga 06.04.2014. Board Proceedings are under examination by Professional Directorates at IHQ MoD(N) for causative analysis and approval. Damage to Port propeller of INS Kuthar while coming alongside at Port Blair 28.06.2014. Touching bottom of INS Cheetah while entering Kochi Harbour 02.07.2014. Collision of INS Kora with MV Madeleine Rickmers at Sea 31.10.2014. BoI is in progress at HQENC. BoI is in progress at HQWNC. This information was given by Defence Minister Shri Manohar Parrikar in a written reply to Shri Raj Babbar in Rajya Sabha today. Make in India initiative announced by Hon’ble Prime Minister Shri Narendra Modi may well be the elusive key to indigenisation and achieving self reliance in the field of manufacture of complex defence systems. To deliberate the issue of ‘Make in India in Defence Sector’, Army Institute of Management and Technology (AIMT), Greater Noida is organising a day-long seminar at its campus on 9th May 2015 on the theme ‘Make in India Made Easy- Opportunities and Challenges for Defence Sector’. Spread over three technical sessions, the seminar brings together an array of speakers from the Industry, academia and the policy makers. Various eminent personalities from MoD, Army, Corporate Sector and business schools shall share their views on how to leverage on ‘Make in India’ initiative of the Central Government. The deliberations will focus specifically on the opportunities and challenges posed by Make in India in Defence Sector. The scope of the seminar will cover changing business environment of India and throw light on major policy initiatives under ‘Make in India’ campaign. The speakers will also deliberate numerous business opportunities offered by the Make in India in the defence sector not only for the major arms manufacturer players but for SSIs and MSMEs especially in the light of the enhanced capital and revenue budget. AIMT is a Management Institute established in 2004. It conducts two year full time MBA residential programmes for the wards of serving and retired Army personnel and Army war widows and is affiliated to Guru Gobind Singh Indraprastha University. AIMT has a fully residential, state of the art campus spread over 15 acres. An ISO 9001 certified Institute, AIMT in a span of just ten years has earned a name for itself as a business institute of repute in Delhi and National Capital Region. AIMT is accredited by International Accreditation Organisation (IAO) as a Grade A institute and is presently in the process of accreditation by the National Assessment and Accreditation Council. The Induction Ceremony of Akash Weapon System into the Indian Army Air Defence Corps was organised at the Manekshaw Centre at Delhi today. The ceremony was marked by the handing over of the “key of the weapon system” by CMD M/s BDL to General Dalbir Singh, COAS, who thereafter dedicated the weapon system to the Corps of Army Air Defence by handing over the symbolic key to Lt Gen VK Saxena, DG Army Air Defence. The ceremony was attended by senior dignitaries of the Ministry of Defence, Armed Forces, DRDO and Defence PSUs. The Chief of Army Staff complemented the Armed Forces, DRDO and the DPSUs for the integrated approach to develop and deliver the complex missile system to the nation. He made a special mention about the significance of the induction of such a complex indigenous weapon system towards the Make-in-India initiative launched by the Prime Minister. The event marks the beginning of the new era for the Army Air Defence towards its drive for modernisation to counter the challenges posed by the enhanced air threat due to rapid improvements in the avionics field. This will also give a boost to the all round capability enhancement and operational effectiveness of the army to meet all the contemporary and emerging challenges of negating the enemy’s air threat. Akash Missile System is an indigenously developed supersonic short range surface-to-air missile system with the capability to engage a wide variety of aerial threats like aircrafts, helicopters and unmanned aerial vehicles up to a maximum range of 25 km and upto an altitude of 20 Km. 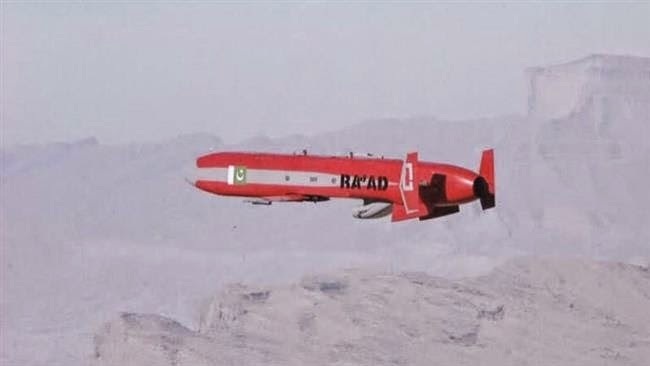 The system is capable of simultaneously engaging multiple targets and is capable of providing comprehensive short range missile cover to the vulnerable assets in the field force of the Army. It employs command to line of sight guidance and relies on sophisticated radars and control systems to guide the missile to its targets. The weapon system has been designed and developed by the Defence Research and Development Organisation (DRDO). While MBDL is the lead integrator for the Army Akash Weapon System, the other major system providers are BEL, ECIL, HAL, TATA Power SED, L&T and others. Besides this, a large number of medium & small scale industries have been actively involved in this prestigious indigenous development program. With 96% indigenous content, the state-of the art weapon system is a glowing manifestation of the Hon’ble PM’s ‘Make-in-India’ initiative.